Relation between Quality of life and Safety in high-rise housing_Łódź, Poland. One of the objectives of the COST action Crime Prevention through Urban Design and Planning is to produce a series of publications and make them available to a broader audience. We are happy to present this time the case study entitle: “Relation between Quality of life and Safety in high-rise housing. Łódź, Poland”. You can download it directly here or by visiting the download centre and searching under “results”. 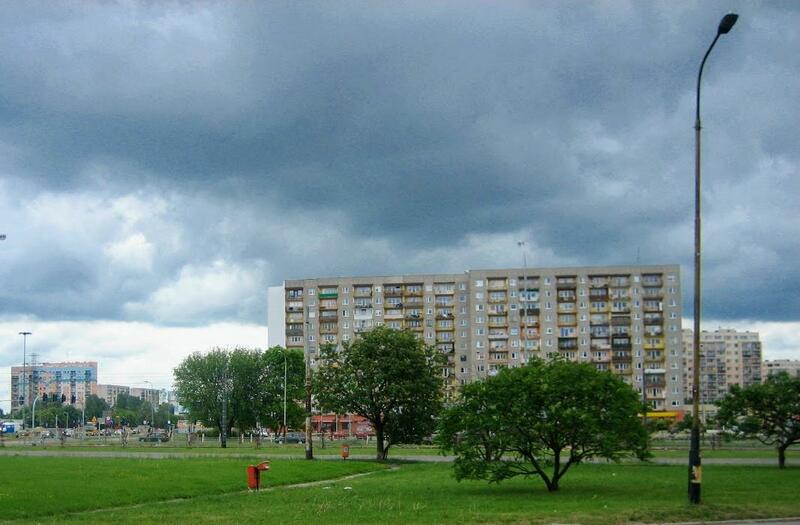 The social context in Polish highrise neighbourhoods varies from one in Western Europe. This typology is not associated with social housing and the ownership of the dwellings is mixed. Moreover nearly half of the population of Poland lives in this type of real estates. Sociological research shows the subjective quality of life is descent. Nevertheless they are still considered a rather poor place to live and there are various aspects that need to be improved. Widzew is a typical example of the lay out of a 70’s and 80’s concrete highrise housing area. Many similar developments have been built during communist era in the Eastern Europe. Lots of social and urban problems meet in Widzew. There are many degenerated buildings, while new developments intrude the existing environment, obstructing social and urban structure. This case study was written by: Anna Janiszewska (University of Lodz), Ewa Klima (Lodz University of Technology), Lech Grabski (Lodz University of Technology) , Tobias Woldendorp (Independent CPTED Consultant). Contributors: Additional research and compilation was undertaken by: Marta Pastuszka (Lodz University of Technology) Editorial support was provided by COST Action TU1203 Editorial Group. This publication is substantially based on an article Improving the quality of life with CPTED method in Journal of Place Management and Development by the same authors.